Today’s CIOs take an active role in helping the business be more competitive, drive revenue and innovate. When new IT investments are needed to support the business, a cost justification, either in the form of TCO or ROI is required. When should you make the case for each? When do you need both? TCO is typically defined as the total cost of acquiring and operating an asset (or group of assets) over the lifetime of those assets. For example, in the world of IT infrastructure, the TCO of a disk storage array would be the cost of acquiring the array and all the subsequent operating costs (lease payments, hardware/software maintenance, power, cooling, floor space, operations, etc.) associated with operating the disk array over its useful lifetime (typically 3-5 years). ROI is a cash flow analysis that is typically defined as the percentage of costs recovered at a point in time for an investment (e.g. an IT project that involves replacing an aging disk array with a new disk array). “Simple ROI” analysis is used most often. A simple ROI is defined by the formula “net investment gains” divided by “total investments costs.” So, a 50% ROI means that at a specific point in time (e.g. one year) the investment “recovered” 50% of the total cost of the investment. 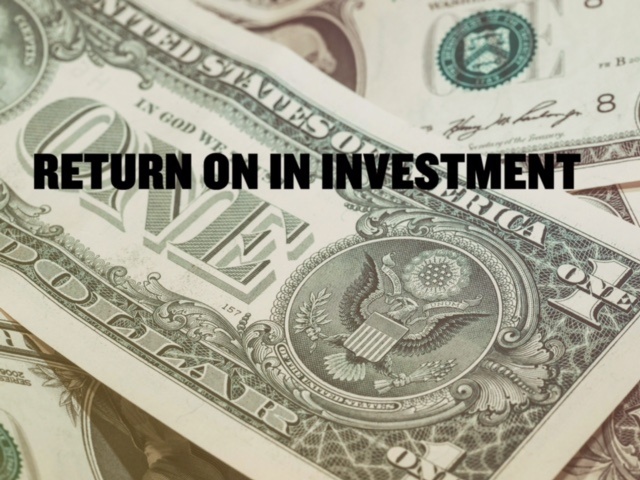 100% ROI is the point at which the investment returns 100% of the total investment costs. This point in time is often referred to as the “payback period” and is important because many businesses have specific requirements for what the payback period needs to be in order for an investment to even be considered (e.g. 18 months or less). An ROI analysis is typically used to compare multiple investment scenarios with one of the scenarios typically being a “do not make the investment at this time” option. For example, if a business is deciding whether or not to refresh a disk array in three or five years (assuming of course the disk array can still meet their business needs) an ROI analysis might be performed do determine which option is better from a financial perspective. The key difference in these two financial analyses is that the ROI model is a cash flow model which means that not only do the costs need to be quantified but so do the “savings” generated by the investment. The kinds of savings allowed for an ROI calculation can be quite different between different businesses and indeed may differ within a business based on the type of investment. “Soft” Savings: These are savings that don’t actually result in the elimination of some current or planned costs, but do have a positive impact on the business’ operating model and costs. For example, an investment in a software monitoring tool might improve the operational efficiency of the IT Operations Group. The net result is that personnel can do their job more efficiently and therefore spend their time working on other activities. Many businesses consider this a “soft saving” unless an actual reduction in head count can take place and may not be willing to include it the savings part of the ROI calculation. Another area of savings that is often considered a soft saving is the impact of an investment on the availability and performance of applications. This is usually quantified in terms of application “down time” and the question that needs to be answered (but is extremely difficult to do so in most cases) is what are the “savings” associated with having less down time for my applications? Most businesses aren’t even sure what their current availability metrics are let alone what it costs the business when they do have incidents that affect application availability. Again, many businesses may not be willing to include this in their ROI calculation even though it may be one of the most important objectives of their investment! “Hard” Savings: These are the savings that can be quantified as costs that can actually be eliminated (or deferred). For example, upgrading to a new technology may significantly reduce hardware and software maintenance costs when compared to continuing to operate an old technology. Or, moving an application to a cloud service provider eliminates the need to acquire a number of net-new servers. In some cases, businesses like to categorize these savings as “cost reduction” or “cost avoidance.” Cost reduction refers to reducing the cost of a budgeted line item. For example, if only $300,000 of a $500,000 line item for hardware maintenance has to be spent that represents a $200,000 cost reduction. On the other hand, a planned expenditure for servers over the next couple of years of $5M that could be reduced to $4M represents a cost avoidance of $1M. It’s a somewhat fine distinction but an important one for some business. Check out our next blog when we dive into examples of where TCO and ROI analysis come into play for a business.